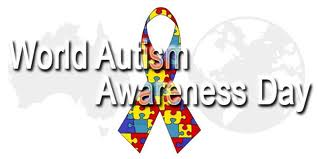 As most of my readers know…today is “World Autism Awareness Day”. I didn’t even realize it until yesterday when my sister reminded me. And, while it may seem obvious to write about my brother today, given the topic at hand, I’m actually going to write about some other love bugs that have changed my life. My love for these 2 kids can’t be described through a blog. But they’ve had a remarkable impact on my life, and my story with them is worthy of being shared. For parents that ever wondered if ABA therapists have favorite clients… they do. And these boys were mine. I had the pleasure, and honor, of going to school with these 2 kids for many years, in addition to working with them both at home. I worked so many hours with them both that I got to know them pretty intimately, and our bonds were unlike any other I’ve ever had with my clients. They became family to me. We had our own inside jokes. We had our own little habits and routines. We had our own special relationships. Together these boys and I grew. They grew from cute little kids to handsome big boys. I grew from a shy, somewhat green therapist to a confident, experienced BCBA applicant. They pulled me out of my shell. They stretched me to become better, clinically and personally. They gave me an endless supply of funny stories, priceless moments, and hilarious memories. They knew what I expected from them. They knew how I said things, and even how I wrote. They knew my family. They knew my fears, and what made me happy. They knew me. And I knew them… I knew their favorite everything. I knew their hot buttons, and what made them tick. I knew what excited them. I knew how each of them learned material best. I knew how to modify almost anything to be presented in a way they could understand. I knew how to influence their behavior from across the room, with only a glance. But they knew how to melt my heart with only a smile. My hold over them was nothing compared to their hold over me. In the process of falling in love with these kids, I also grew to love their family. And because we spent so much time together, their family really got to know and love me, too. I was able to share in the life experieces of this family, and they shared in mine. From engagement, to marriage, graduations, first communions, birthdays, surgery, and even family deaths… We lived a lot of life together. I consider it a unique privilege to have been so included in a family that wasn’t my own. So… on this autism awareness day, I’m reminded of how deeply I love these 2 angels, and always will. No matter how many years go by, or how many new kids I work with, there will never be a repeat of the relationships I created with them. While forming a bond with any child is special, forming a bond with the population I work with is exponentially more precious. So I am “aware” on this day (and everyday) , that to truly connect with those who have autism… that is a blessing beyond compare. And I am “aware” of just how special these 2 boys are, and how lucky I am to have been part of their lives. Change is bad good. Change is scary exciting. Change is uncomfortable healthy. Yeah, this ^ is my internal thought process right now; trying to reduce my fear-based aversion to change and ramp up my enthusiasm about new opportunities, growth, and what lies ahead. After 6 ½ years at my place of work, I have resigned and taken an offer from another ABA agency. I’m a mixed bag of emotions; sad to say goodbye to people I have grown close to. Eager to start fresh and take on new responsibilities. Nervous to learn new ways of doing things. Happy to get to be around a new set of professionals in my field. Apprehensive to start over somewhere new. Ready to break away. Scared. At peace. And overall, I am hopeful about what’s to come. These past 3 months have been a big, huge, giant, I’m talkin’ ENORMOUS, transition for me. After my long-time clients terminated services, it left major gaps- in my heart first of all, and in my schedule second of all. It gave me time to think. It gave me perspective. It gave me clarity. It gave me motivation. It gave me a peace about leaving my current job that I wouldn’t have had if they didn’t leave first. You see…I was (am) so attached to those kids that I couldn’t have imagined leaving them. But, that decision was taken out of my hands; it was made for me. Now, this is not to say I am leaving my current job because my long-time former clients left. No, no. That is certainly not why. Those clients leaving simply gave me the chance to really think about what I want for myself, and to have the guts to make those hard decisions. Their absence gave me time to reflect; time to examine my life and my goals. Their absence gave me the push I needed to pursue my future. And after much thought, prayer, and consideration I realized my future in this field lies elsewhere; at another company. I’m a cynical person by nature, but I always try to find God’s purpose, or the silver lining, in every situation. So…even though I am still very pained by losing my all time favorite clients, I recognize that they have unknowingly helped me face my fear of change. These last few months have stretched me, and grown me. I’ve halted my trend of just staying with what’s familiar. I’ve been brave and ambitious. And, I’m ready. So…in a few short days I will start a new adventure. I will go into this new job with a lot of tools in my belt, and wisdom in my head, that I gained from this current job. I will always be grateful for all I learned from my boss, and the chance she gave me to turn a little college job into a lifetime career. I am excited to see what new opportunities await me, and to use my skills to help more and more families. Wish me luck!